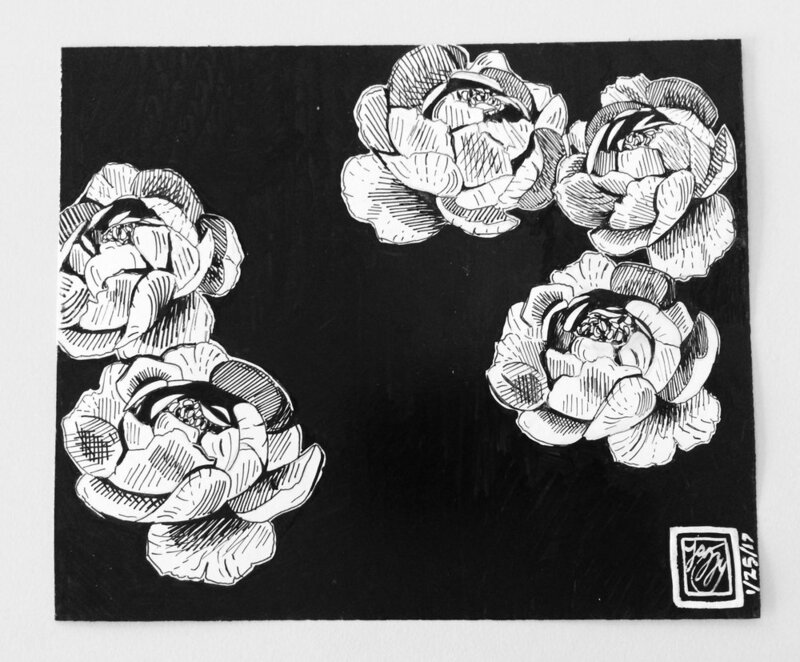 I drew flowers to represent that we can take our opinions, ideas, hopes and dreams and use them as a vehicle for growth. To represent that we are all human and we are all equal. 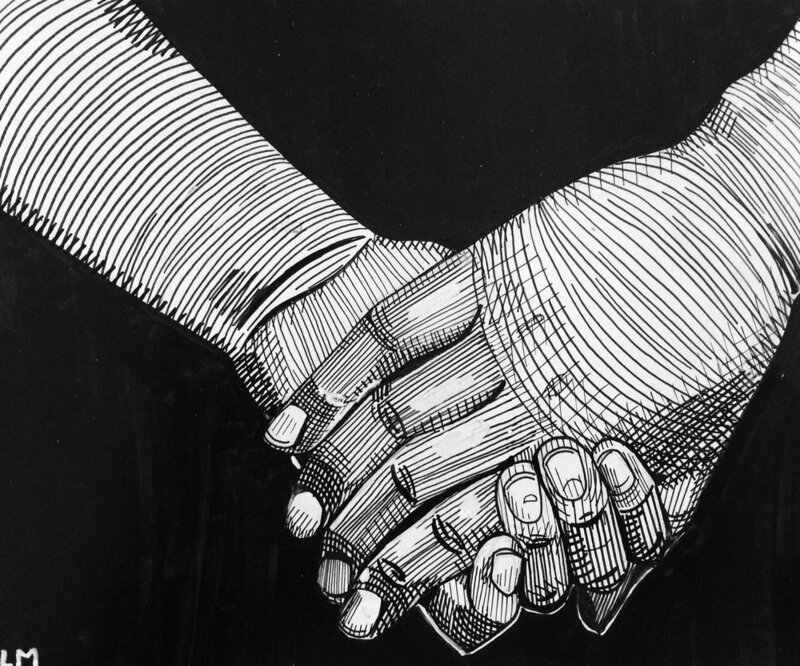 I chose to depict two people holding hands to represent that love is love. I used a single monarch butterfly to represent that immigrants are welcome and make our country great. 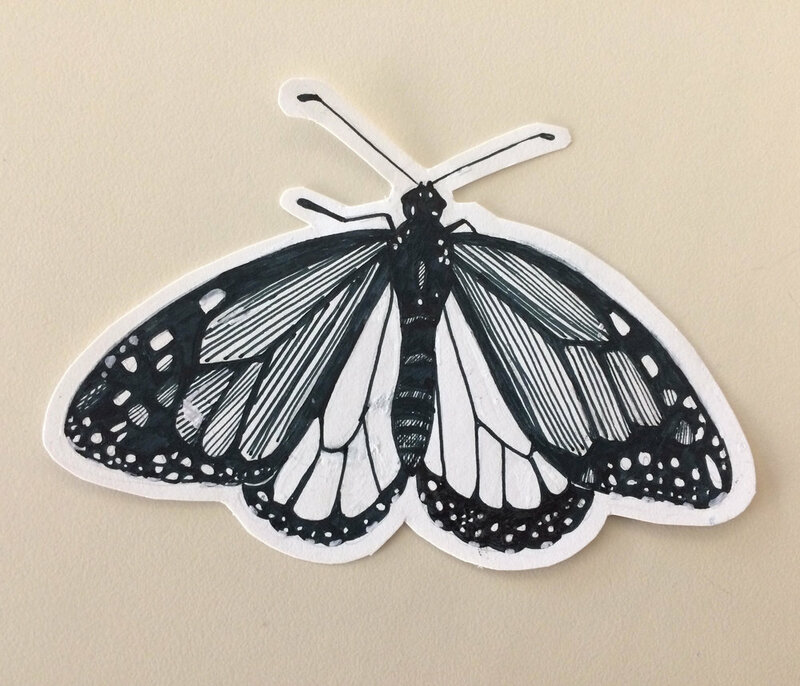 Each year, the monarchs’ migration is considered beautiful and incredible, so I chose to relate this to immigration. The fist represents the power of women and the message that women's rights are human rights. I used butterflies to represent the beauty of diversity. Valentine's Day is a time to celebrate love! This year had a very eventful start with the current political situation and many people feel conflicted and upset. In a time meant for love, many people are expressing feelings of hate. In art class, when I was given the pen and ink project, I struggled to come up with a meaningful and interesting theme. I wanted to have fun with my project; experimenting with a new medium and creating something that felt expressive and new. On January 21st, I went to the women’s march in Philadelphia. I didn’t really know what to expect and when we arrived, I was overwhelmed and thrilled to see so many people filled with passion and ready to be heard. I was very inspired to be standing in a sea of people from all different backgrounds holding signs and artwork they created. It dawned on me that this was the perfect theme for my project because I could use my art to express what I have been feeling as well as to capture the beauty and diversity of our country.